Create, read, and edit Word files from C# with just a few lines of code. Top features - mail merge, merge and split documents, find and replace, protect, and convert documents. View, edit, and print Word documents seamlessly from your apps. A high-performance and feature-rich framework to perform advanced Word document processing operations faster without Microsoft Office or interop dependencies. This framework offers a Word creation and editing library that allows you to create, read, and edit Word documents programmatically in any .NET application. 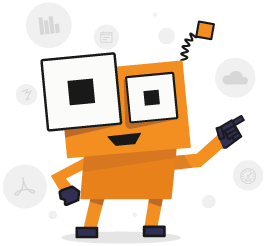 Its powerful conversion APIs make it easy to convert Word documents to PDF, HTML, RTF, ODT, and EPUB formats. It also offers advanced editor components to view, edit, and print Word documents in your applications. There are no distribution fees, per-server licensing fees, or royalties, making the Syncfusion Word processing solution very cost-effective. Optimized for server environments where speed and low memory usage is critical. All the elements in a typical Word document like text, formatting, images, shapes, and tables are accessible through a comprehensive set of APIs. The Syncfusion Word library (Essential DocIO) is a mature, proven product used in mission-critical applications for over 10 years. Syncfusion .NET Word framework comes with extensive documentation, a knowledge base, and samples. It only takes a few lines of code to create, view, or edit richly formatted Word documents. Provides a single, uniform API across all platforms. Create Word documents from scratch with text, formatting, images, shapes, tables, and more. Edit an existing Word document with just a few lines of code. Generate reports like invoices, payroll, and more, by performing mail merge faster in a batch process without Microsoft Office or interop dependencies. Merge multiple documents into a single document by importing content with several formatting options, like using destination styles, keeping source formatting, and more. Split a document into multiple smaller documents based on sections, placeholder text, or any document element. Navigate to a bookmark in the document and insert, edit, retrieve, or delete its content. The framework also supports replacing bookmarked content with text, part of a document, or an entire document. Find text or text patterns using regular expressions, and then highlight or format it. You can also, replace the text or text pattern with other text, a part of a document, or an entire document. Create, edit, and format simple and nested tables in a Word document. Polish the appearance of tables by applying built-in styles and conditional styling options. Customize the appearance of the document with several formatting options at the text level and paragraph level, add bullets and numbering, create styles, and more. Create fillable forms with legacy form fields and content controls in Word documents. Then, fill the form and extract the data from the form fields effortlessly. Encrypt a Word document with a password and open an encrypted Word document with a valid password. Restrict edit permissions for specific content in a Word document. The Syncfusion .NET Word framework can convert Word documents to PDF, image, RTF, TXT, HTML, ODT, and EPUB formats. Also, it can convert RTF, TXT, and HTML files to Word documents. Convert Word documents to PDF for printing and viewing in a portable format. Various customization options are also supported. Convert document pages to images (PNG, BMP, JPEG, EMF, TIFF) for printing and viewing document contents without a Word document viewer dependency. Convert Word documents to RTF for reading and editing rich text independently with any rich text editor. Also, convert RTF files to Word documents. Convert Word documents to plain text for reading and editing text. Also convert text files to Word documents. Convert Word documents to HTML for viewing and printing HTML content with any browser. Also, convert XHTML 1.0 compliant HTML files to Word documents. Convert Word documents to open document text (ODT) format. This format is used for maintaining the documents’ interoperability with Word processing applications like OpenOffice Writer. Create ebooks starting from a Word document and publish them by converting them to an electronic publication (EPUB) file. Syncfusion .NET Word framework offers an editor component compatible with Microsoft Word. It allows end users to create, view, edit, format, and print rich text and Word documents in your application. Edit document content faster. Virtualized pages help load large documents instantly and use less runtime memory. Provides a seamless, Microsoft Word-like editing experience through touch, mouse, and keyboard interactions. Offers highly intuitive user interfaces. Edit and format document contents interactively through built-in menus and dialogs. Create, view, and edit document contents in Microsoft Word compatible file formats like DOCX, WordML, DOC, HTML, RTF, and TXT. Provides a Microsoft Word-inspired navigation pane to search text, navigate through search results, and modify text in the document. Print the Word document interactively, allowing users to choose all pages or a specific page. With Essential DocIO and Essential XlsIO, we were able to create Word documents and spreadsheets faster than ever. Syncfusion's support team is always exceptional. Syncfusion’s file format components helped me create the reports I needed, fast. – J. Pereira, Software Developer. The libraries have been built from scratch and refined for more than a decade to provide blazing-fast performance, comprehensive API, and compatibility across the latest and older versions of these files. Read and write Excel, Word, PDF, and PowerPoint files. Also includes integrated visualization capabilities. Advanced features include support for pivot tables, pivot charts, mail-merge, and extensive formatting.